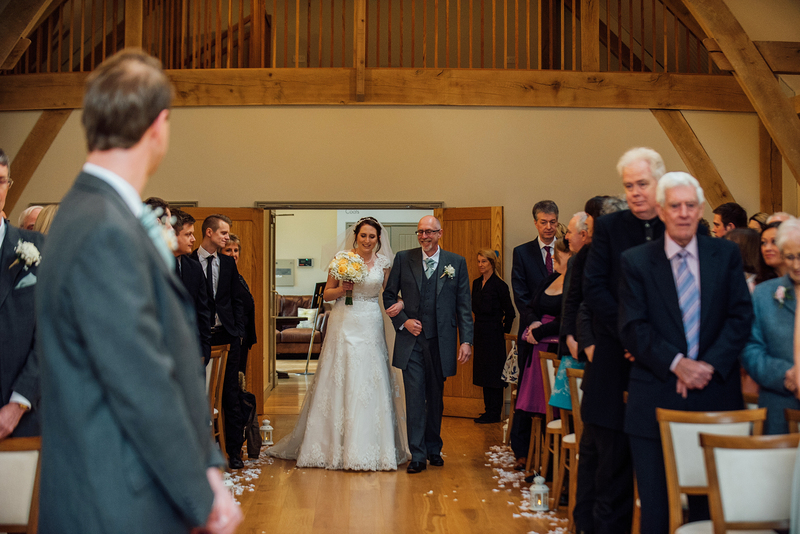 Our first entry for share your story is from the beautiful Kimberly Church, who got married at Easton Grange, March 2016. 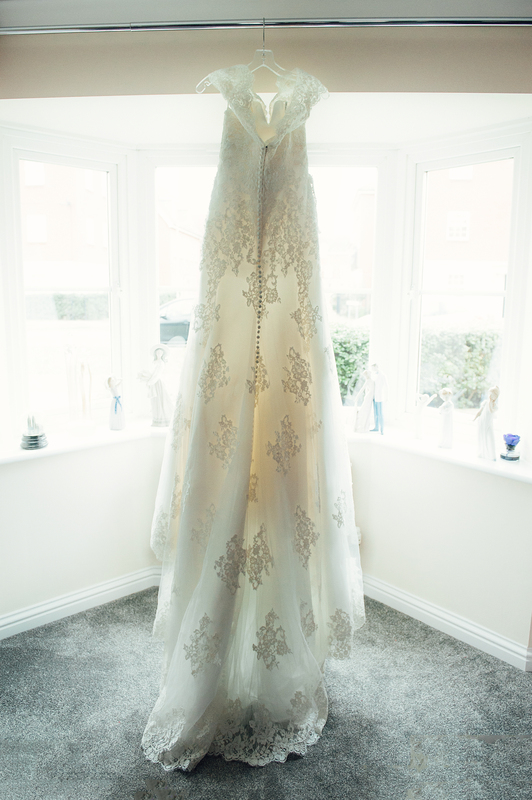 Our bride took on a gorgeous trumpet silhouette style Justin Alexander gown, with beautiful lace shoulder detail that trickles down to the hem of the dress. This shape of dress fits closely to the body until the mid hip and then widens gradually to the hem, which allows Kimberly to show off her figure and still have a large flowing skirt. 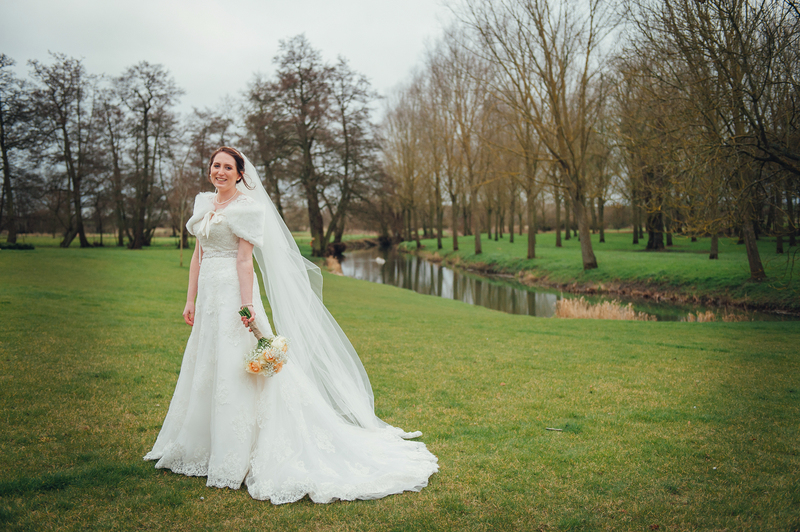 Our bride also matched a beautiful off-shoulder fur shawl with her gown to keep warm against the cold winds, which doesn’t hide away any of the upper detailing of the dress. 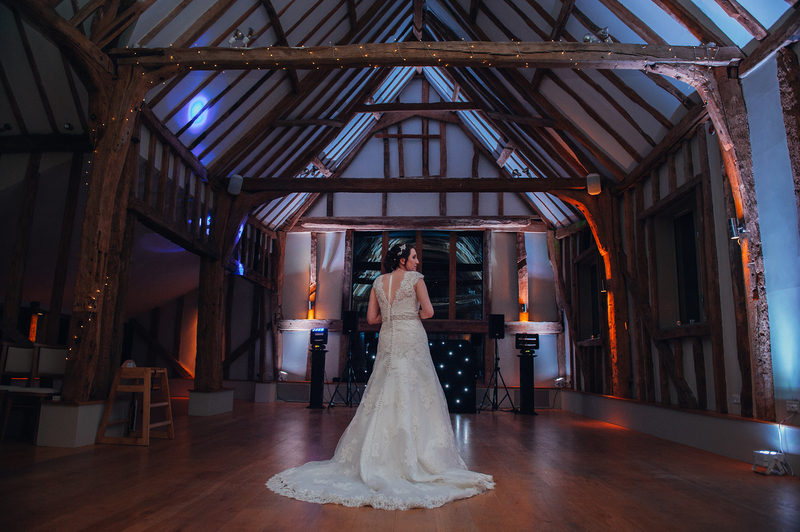 Here are some fabulous photos sent in and photographed by the lovely Sadie of Big Fish Photography. Take a look at the little details of the day. 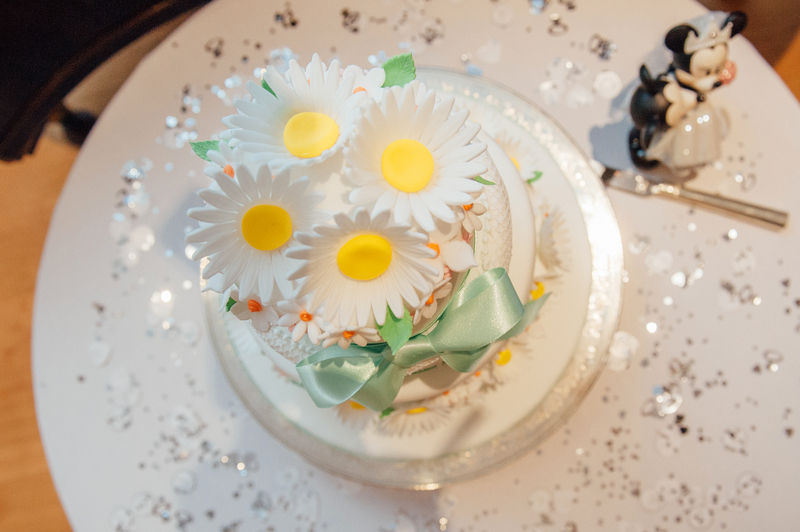 Kimberly chose a selection of spring, pastel colours of green, yellow and orange for her bouquet and cake, which had large spring daisy toppers. Above, are simple and sweet candle-lit lamps laid out across the aisle with white petals, and there are little touches of Disney across the tables. 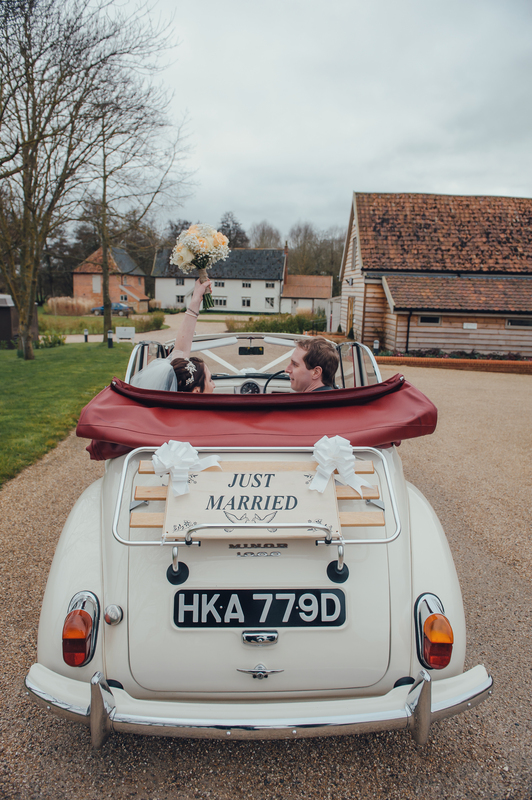 Your wedding day is all about you and your husband, so make it as unique and individual to you. Thank you for sharing your story with us Kimberly!